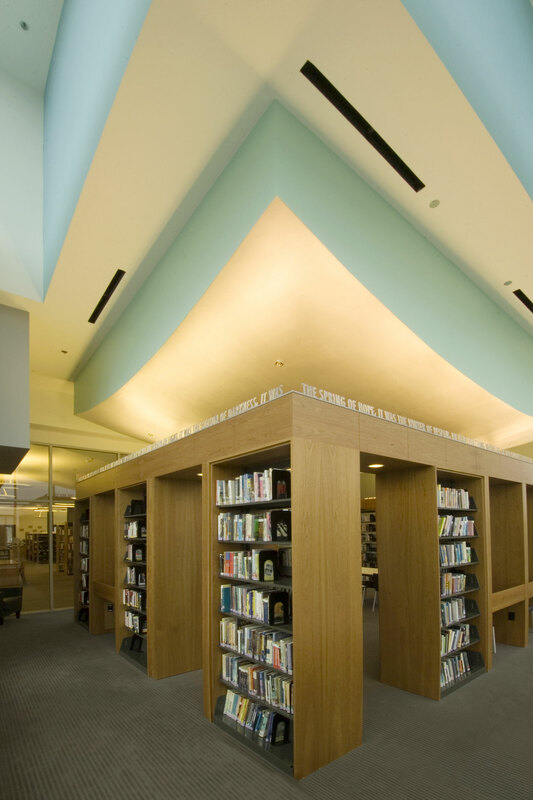 In a glassed-in room in a corner of the Reference Department is the library's Teen Space. There are fiction books, audio books, and magazines, along with four computers and tables designed for group study for teens. Just outside the room is a large manga and graphic novel collection. The teen librarian is available after school three days a week for questions and suggestions on what to read.